New York Harbor is formed by a network of interconnected tidal waterways along the shores of New York and northern New Jersey; bounded by the Hudson River to the north, Long Island Sound to the east, and the Atlantic Ocean to the south (Figure 6-2). Freshwater tributaries discharging into the estuary drain an area of 16,290 square miles and contribute approximately 81 percent of the total freshwater inflow to the harbor. The remainder of the freshwater input is contributed by wastewater (15 percent), urban runoff (4 percent), CSOs (1 percent), and industrial discharges, landfill leachate, and precipitation (0.5 percent) (Brosnan and O'Shea, 1996a). Fresh water is also imported into the New York City water supply system from the combined watershed areas of the Delaware and Catskills mountains, with eventual discharge via the wastewater drainage system into the harbor. Seasonal and interannual variation of streamflow of the Hudson River recorded at Green Island, New York, near Troy (USGS gage 01358000) is characterized by high flow during March through May, with the monthly mean peak flow of 32,719 cfs observed in April (Figures 6-3 and 6-4). High spring flows result from spring snow-melt and runoff over the mountainous drainage basin. Low-flow conditions occur during July through September, with the mean monthly minimum of 5,797 cfs observed during August. In dramatic contrast to the long-term (1951-1980) summer (July-September) mean of 6,396 cfs, during the extreme drought conditions of 1962-1966, mean summer flow was only 49 to 70 percent of the long-term mean summer flow. The driest conditions occurred during the summer of 1964, with a mean flow of 3,104 cfs and a minimum flow of only 1,010 cfs (Bowman and Wunderlich, 1977; O'Connor et al., 1977). 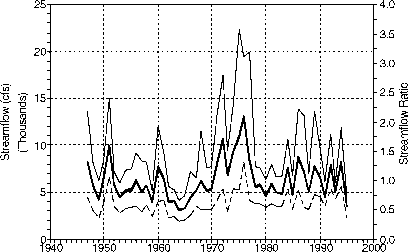 Inspection of the long-term trend data (1947-1995) for summer streamflow clearly shows the persistent drought conditions of the 1960s, as well as the high-flow conditions recorded a decade later (Figure 6-4). delphia in 1839—strengthened the city's links to Europe and to the nation's interior. During the massive European immigration period of the mid-1800s to the early 1900s, immigrants to the United States passed through Ellis Island in New York Harbor, a main port of entry. Many chose to remain and contribute to the growth of the city. The Hudson-Raritan estuary case study area includes a number of counties identified by the Office of Management and Budget (OMB) that define Consolidated Metropolitan Statistical Areas (CMSAs) or Primary Metropolitan Statistical Areas (PMSAs). 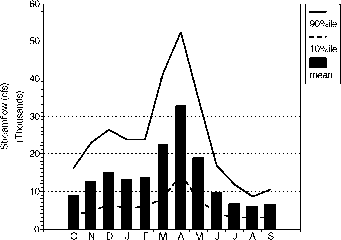 Figure 6-3 Monthly trends of mean, tenth, and ninetieth percentile streamflow for the Hudson River at Green Island, New York (USGS Gage 01358000), 1951-1980. Source: USGS, 1999. 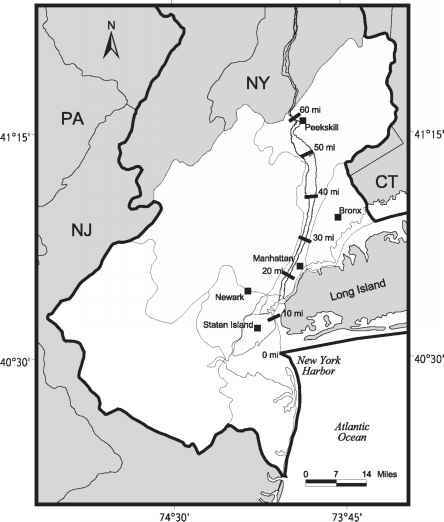 Figure 6-4 Long-term trends in mean, tenth, and ninetieth percentile streamflow in summer (July-September) for the Hudson River at Green Island, New York (USGS Gage 01358000). Source: USGS, 1999. 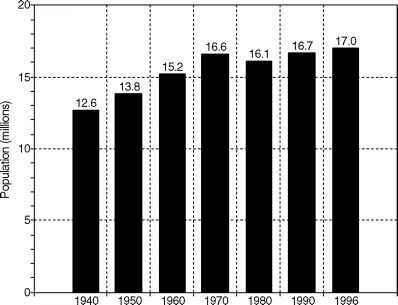 Figure 6-5 Long-term trends in population for the New York-Northern New Jersey-Long Island CMSA counties for the Hudson-Raritan estuary metropolitan region. 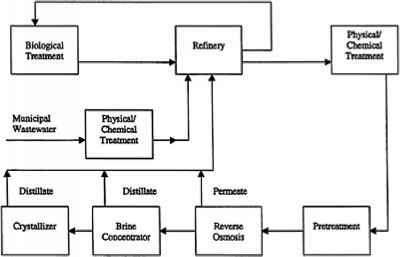 Source: Forstall, 1995; USDOC, 1998. Table 6-1 lists the CMSA counties included in this case study. Figure 6-5 presents long-term population trends (1940-1996) for the counties listed in Table 6-1. From 1940 to 1996, the population in the Hudson-Raritan estuary case study area increased by 34 percent, from 12.6 million in 1940 to 17.0 million in 1996 (Forstall, 1995; USDOC, 1998). Because of the proximity to shipping and other transportation routes, manufacturing and industrial development evolved as a major component of the region's industrial economy and a major contributor to the environmental decline of the area's once bountiful wetlands. New Jersey, the most densely populated state in the nation, is second only to California in industrialization, and most of the industrial activity of New Jersey is centered around New York Harbor. Within New York City, economic growth has depended on manufacturing, services, world trade, and the city's position as a national and international center for banks, finance, culture, and the arts. Since the turn of the twentieth century, and particularly since the development of the automobile and highways, progressive suburban development radiating from the city has transformed the once agricultural region into a densely populated metropolitan area. At a distance of about 60 miles from New York City, however, farmland, rural lands, and low-density suburban towns still characterize the outer fringes of the metropolitan region. Despite intense development and the loss of wildlife habitat due to wetland conversion, the New York-New Jersey Harbor and the New York Bight do contain significant fish and wildlife resources. Water uses of the Hudson River and New York Harbor include public water supply of the freshwater river upstream of Poughkeepsie, New York, municipal and industrial wastewater disposal, commercial shipping and navigation, recreational boating, swimming, and commercial and recreational fishing. Although commercial fishing was once a significant component of the New York-New Jersey regional economy, the abundance of commercially important fish and shellfish has declined considerably during the twentieth century. The loss of once abundant fishery resources has been attributed to disease, overfishing, loss of habitat, and poor water quality conditions. Despite the significant reductions in fishery resources, commercial fishing of more than 60 species of seafood contributed approximately $500 million to the regional economies of New York and New Jersey during the mid-1990s (Schwartz and Porter, 1994). Recreational fishing in New York Harbor, Long Island Sound, and the New York Bight is also quite important accounting for more than $1 billion annually in economic activity for New York and New Jersey during the mid-1990s (Schwartz and Porter, 1994).